Econicraft: By the players, for the players! 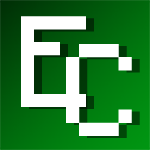 Just wanted to let you all know that for the month of March, Econicraft was payed for 100% by Econicraft players! Users Cineloh and Spacekitsch both donated this month and made March 2013 of Econicraft possible. It is a real honor to own a server where the players are so dedicated. I believe that our server being 100% player sponsored shows that we truly are by and for the people. Don't forget to give Cineloh and Spacekitsch some love when you see them on the server next guys, they deserve it!